I LOVE the holidays! And I believe in making them super special all month long. With Halloween just days away, we have spent the last several weeks watching Halloween movies with friends, decorating, pumpkin patching, planning our annual party, DIYing, putting homemade costumes together, and pumpkin crafting. It's been so much fun to use our free time and downtime to work on Halloween-inspired activities. It really makes the anticipation of the holiday build up! You want to cut the bottom of these pumpkins out instead of the top. And use a battery operated candle instead of the real thing. And my sister opted to paint her pumpkin. This is a fun way to preserve your pumpkins through all of the holidays. If you paint something generic for your Halloween pumpkins , then you can keep it around for Thanksgiving (like a leaf). 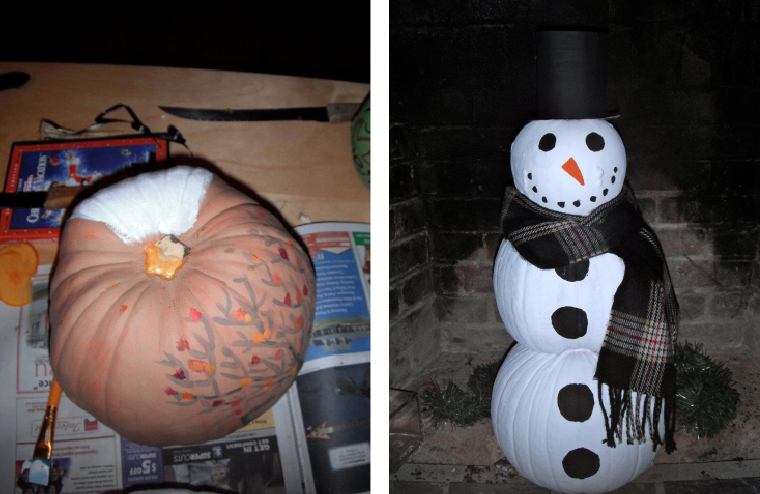 And come Christmas you can take your leftover pumpkins and paint over them, turning them into a snowman, like I did one year! With paint, the possibilities are endless! And I can't leave out our gianormous pizza we gobbled up with friends on Monday. We even had Benny's make a pumpkin face our of pepperoni (it's a little hard to see)! These orange and grape Fanta sodas were perfect for our little hangout! The colors are spot on for Halloween! 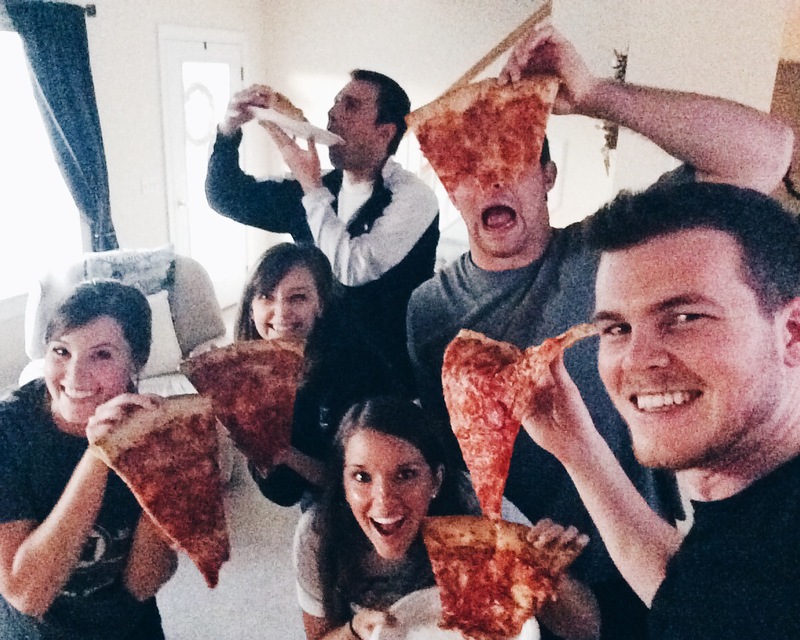 If you follow me on Instgram, then you probably saw this photo of all of us with our pizza slices. Seriously, they are larger than our heads! What are some of the Halloween activities you do to make the season festive?? And make sure to head to Flour Darling for some Halloween recipes this week! !